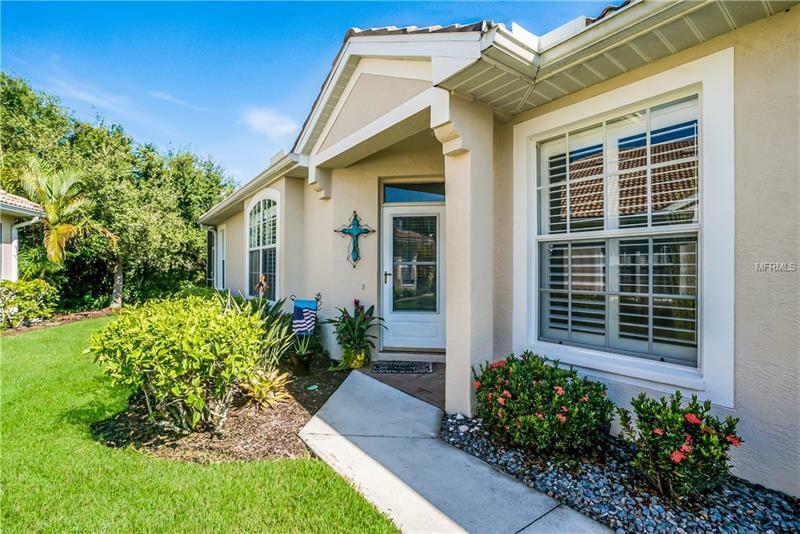 Beautiful, completely updated villa in the award winning Pelican Pointe Golf & Country Club. This delightful 2 Bedroom, 2 Bath villa w/ 2 car garage and den. Sit on your lanai and enjoy complete peace and serenity. The preserve is undergoing a cleaning out & re-planting of new foliage & trees. No golf balls to hit your screens. Attention to detail in the beautifully updated, spacious kitchen with granite counters, a breakfast bar, stainless appliances, a generous pantry, and a movable island with granite. Hand scrapped hardwood floors throughout. Master Bedroom has a tray ceiling, a charming window seat with its own chandelier, & storage within the window seat. The Master bath has a solid, frameless glass enclosure, updated tile and listello, & granite counters w/ dual sinks. Walk in closet w/ built ins. The den has built in bookshelves, a ceiling fan, & can easily accommodate a sleeper sofa. Crown molding throughout. The lanai backs to a lush preserve which is home to wildlife and great bird watching. It affords lots of privacy, and is a great place to sit with morning coffee or an afternoon cocktail and enjoy your own little piece of paradise. Pelican Pointe is more than just a 27 hole golf course. It offers resort style amenities, including pools, tennis courts, pickleball, Clubhouse w/restaurant, bar and fitness center. HOA fees are low and include a bundle of tv, internet and computer. Don't have to join CC. Close to beaches, restaurants, downtown Venice, shopping and I75.